Do you see yourself as a valuable person? In public situations, are you uncomfortable about your appearance? Are you constantly monitoring what you are saying, trying to sound smart or interesting? 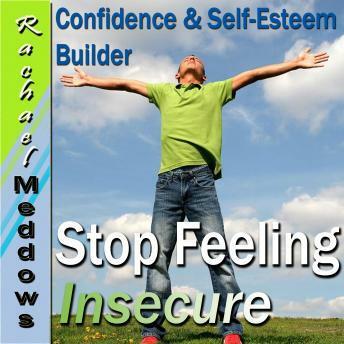 You can overcome your insecurity issues - let Rachael Meddows show you how. With "Let Go of Insecurity Hypnosis" increase your self-esteem and confidence levels. Learn to appreciate your strengths and positive attributes so that they shine through for others to see as well. Let this program give you a leg up in your personal and business lives!